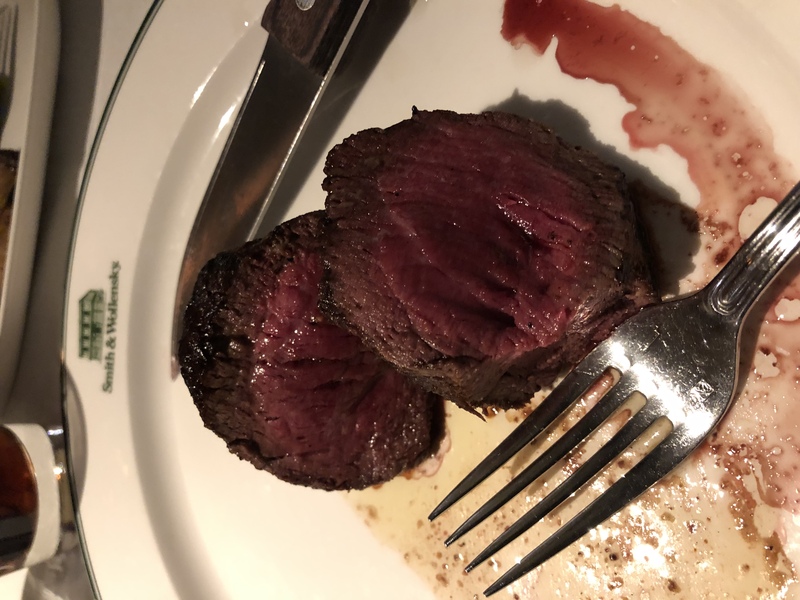 That’s medium rare, For example, USDA recommends a minimum temp of steak to be 145°F, which is classified by chefs as "medium" and by many steak lovers as overcooked. "Medium rare", 130°F to 135°F, is the temp range at which steaks are at their most tender, juicy, and flavorful. Yay science.